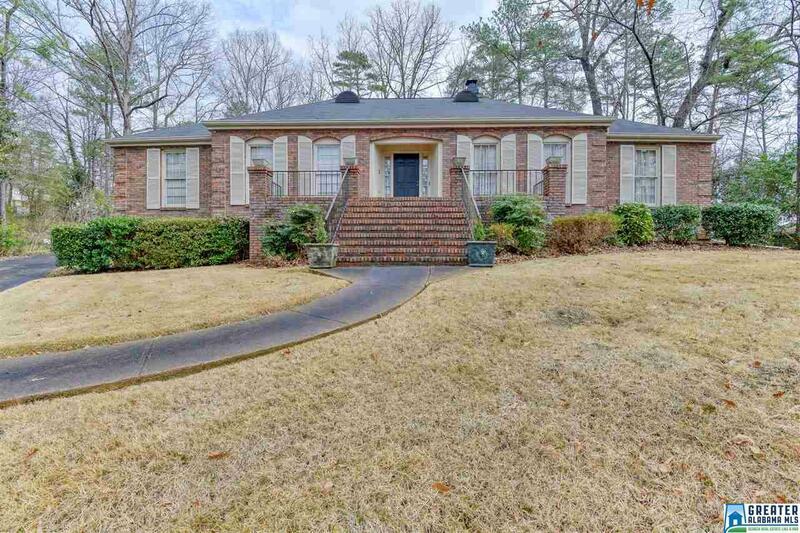 3985 Spring Valley Rd, Mountain Brook, AL.| MLS# 839544 | Richard Jacks UABLIVING.com 205-910-2297 | Birmingham AL Real Estate | Contact us to request more information about our Homes for Sale in the Birmingham AL area. One owner home. Classic one level living, all brick home, situated on an acre lot. Pretty open foyer into living and dining room. Kitchen has large pantry/laundry room very roomy. Den with fireplace and built in desk. Large playroom off Den with wood-burning fireplace and tile floors. Super size closet in playroom. 4 bedrooms, 2 1/2 baths. ALL one level floor plan and OVER 3100 square feet.SPACE, BRICK and ACRE LOT ...ALL in MTN. BROOK. You will want to see this well maintained classic and put your own touch to this home to make it uniquely yours.